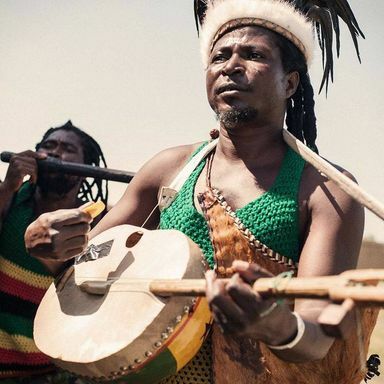 Joining the Suoni this year is none other than Ghanaian musical icon King Ayisoba, with a special and powerful solo set. His distinctive style emerges through his fusion of electronic beat-driven tracks and traditional Ghanaian songs. Hypnotic and bouncing melodies from the king of kologo - a two string guitar with a calabash gourd resonator - abound!